Enriched with eucalyptus and frankincense, the Mischief Bath Gift Box, provides invigorating products with a delightful scent. Luxurious body wash and lotions to accompany the revitalising shampoo and conditioner to nourish your hair, making you feel as if you just stepped out of the Spa. Add a bottle and chocolates to make this an extra special gift. From the superb range of H2k of Harrogate products, we have a included the Mischief bath and shower gel to accompany the Mischief hand and body lotion to achieve the Mischief bath gift box. Enriched with eucalyptus and frankincense, the invigorating Mischief products provide a delightful scent, and rejuvenate both the skin and mind. Frankincense is widely used for the incredible anti-ageing properties it provides and also its ability to improve the tone and texture of skin. The eucalyptus extracts blended into this luxurious Mischief body wash is excellent for healing the skin and exceptional at providing a cooling and soothing sensation. We have teamed these products with the Spa Lifestyle luxurious shampoo and conditioner, to revitalise and nourish your hair, making you feel pampered from head to toe and as if you just stepped out of the Spa. Why not add a bottle of fizz and chocolates to delight your loved one. 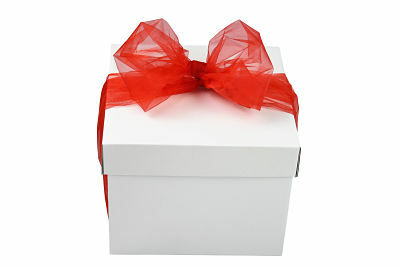 Presented in a cream lidded cardboard box and finished with hand tied red bow. 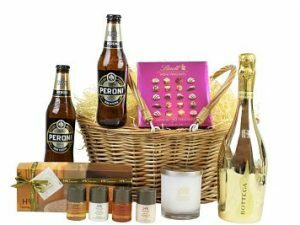 Create your own perfect bespoke gift with the Prosecco and Nibbles Gift Hamper. Choose your favourite Prosecco, with delicate flavours and a fine array of bubbles to accompany your choice of tasty nibbles. The perfect way to make to make your own bespoke Champagne gift. Choose from our prestigious champagnes to accompany your choice of three delicious accompaniments. The perfect gift to impress.